Have you written and completed a novel before? If yes, how long did it take you? If no, how long do you think it will take for a novelist to complete a novel? Do you know that you can do that in just 30 days? True, the ideal of being able to complete a novel in just a month seems overwhelming, but that does not mean it is not possible. 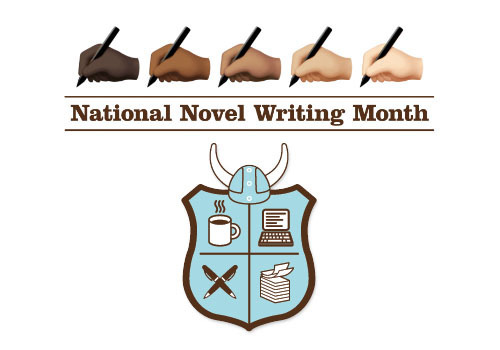 National Novel Writing Month also referred to as NaNoWriMo (in short) makes this seemingly daunting task achievable in a fun, social and easy way. When you join NaNoWriMo by creating an account with them via their official website, you will set out on a mission to write a complete novel with at least 50,000 words. Everyday you can log in so that you can log your word count for that day and also get inspirational quotes and message from your WriMo inbox. Then from the 20th day through the 30th day of the month of November, you be able to paste your novel's full story in the website to verify that it is at least 50,000 words, and if it is, you will be given a printable certificate, an icon (badge) you can display on the web and your name will be listed in the list of winners of the NaNoWriMo project for the year you participated. Also starting from October 2007, CreateSpace partnered with NaNoWriMo to give winners a printed copy of their submitted novel free of charge and an option for you to start selling novel on amazon.com. Apart from these prizes that you get from participating and winning the NaNoWriMo creative project, the inspiration quotes you receive on a daily basic and the association they will hook you in is worth more than gold to your noveling career. For with such inspirational quotes, you will be more able to deal with writer's block and get into a good routine of writing no matter how busy you are. Also from the association, you NaNoWriMo will hook you up with people that will be willing to help move your noveling career up by giving encouragement and advice on what to do when your novel is completed. So you see, when you decide to join National Novel Writing Month project, you are never making a wrong decision. And it is a win-win situation to all members even if you are not able to meet up the task of writing an average of 1,667 words per day in order to reach the 50,000 words goal.